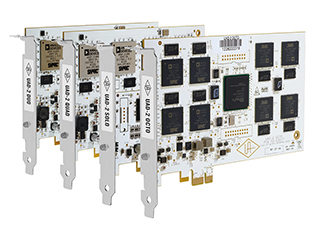 Universal Audio UAD-2 QUAD Custom PCIe DSP Accelerator Cards. Stunning analog sound for your PC or Mac. Includes UAD-2 “Custom” Bundles — Pick Any 3 UAD Plug-Ins. UAD-2 DSP Accelerator cards are available in four distinct processor levels: SOLO, DUO, QUAD, and OCTO, with scalable processing power from one (SOLO) to eight (OCTO) individual SHARC processors. From serious home recordists to multi-platinum mix engineers, UAD Powered Plug-Ins have been winning over audio professionals for more than 10 years. The reason is simple. 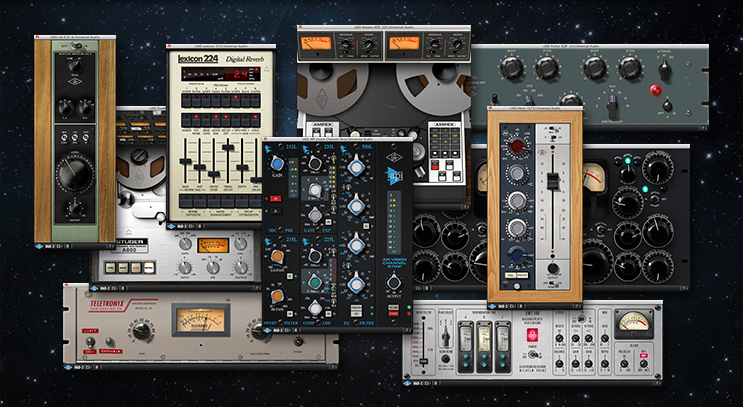 No other plug-ins so faithafully capture the sound and behavior of classic analog equipment — from rare compressors and equalizers, to vintage reverb processors and tape machines. The Core package includes the Analog Classics Plus plug-in bundle, while Custom includes the Analog Classics Plus bundle, and a choice of any three individual UAD plug-ins at registration. 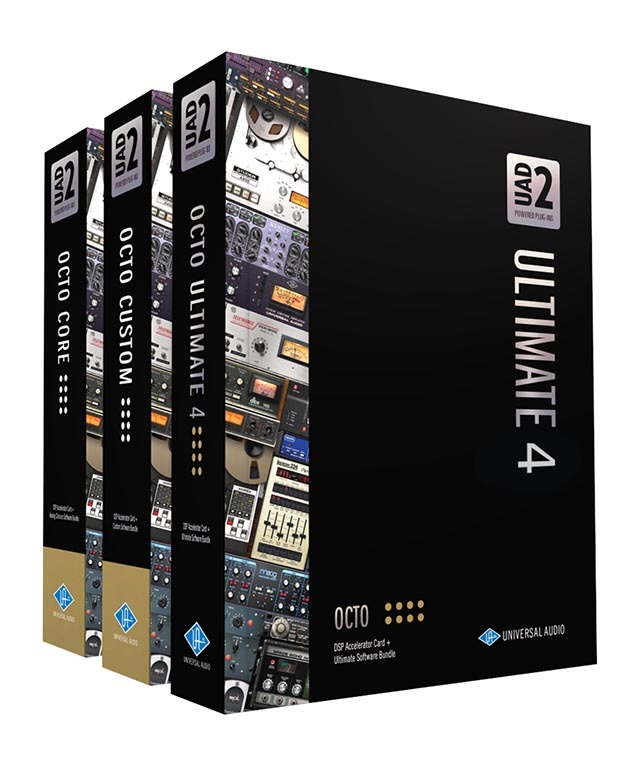 The OCTO Ultimate 4 is UA’s flagship package, and includes all 83 UA-developed plug-ins plug-ins up to and including UAD software. Note: For important PCIe compatibility information with Apple Mac Pro (Late 2013), click here.